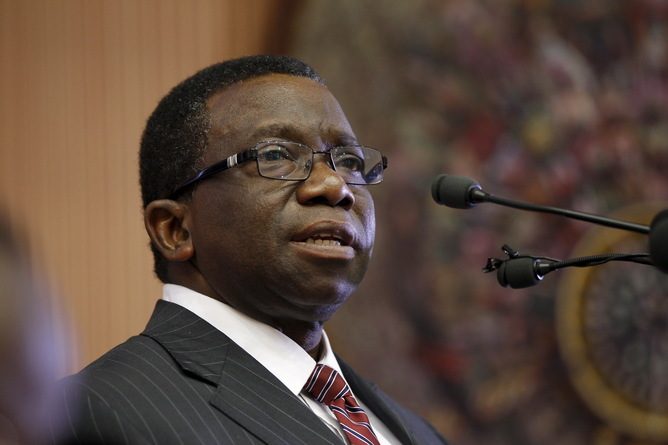 Health minister suspend 8 NHIS officials – Royal Times of Nigeria. The Ministry of Health on Monday suspended eight officials of the National Health Insurance Scheme (NHIS). This suspension is coming after more facts were uncovered by the committee set up by the minister to investigate the suspended NHIS Executive Secretary, Prof. Usman Yusuf. In a statement by the Director of Media and Public Affairs, Mrs. Boade Akinola, said the General Manager and Zonal Coordinator (South-South) of the NHIS, Mr. Olufemi Akingbade, was one of the suspended persons. The statement said Akingbade was accused of fraud while he was in charge of the ICT Department and was indicted by security agencies. Others suspended by the ministry are General Manager (Finance), Mr. John Okon; General Manager (Human Resources and Administration) Mr. Yusuf Fatika; Assistant General Manager in charge of Audit, Mr. Shehu Adamu; and Assistant General Manager, Head Insurance, Mr. Vincent Mamdam. The Senior Assistant Officer, Marketing, Mr. Safiyanu Attah; Senior Manager, Contribution Management, Owen Udo-Udoma; and Mr. Innocent Abbah who is the Senior Assistant Officer, Planning Research and Monitoring, were also suspended.